Starting at a new university or beginning a new course can be daunting, especially if you don’t know anyone before you arrive.The Uni environment really is one of the easiest places to meet people from all walks of life and to make friends. Being part of a big student community gives you the perfect opportunity to create the friendships that, in many cases, will last for many years to come. You’re surrounded by hundreds of other like-minded people from your age group, most of whom are open to meeting others. 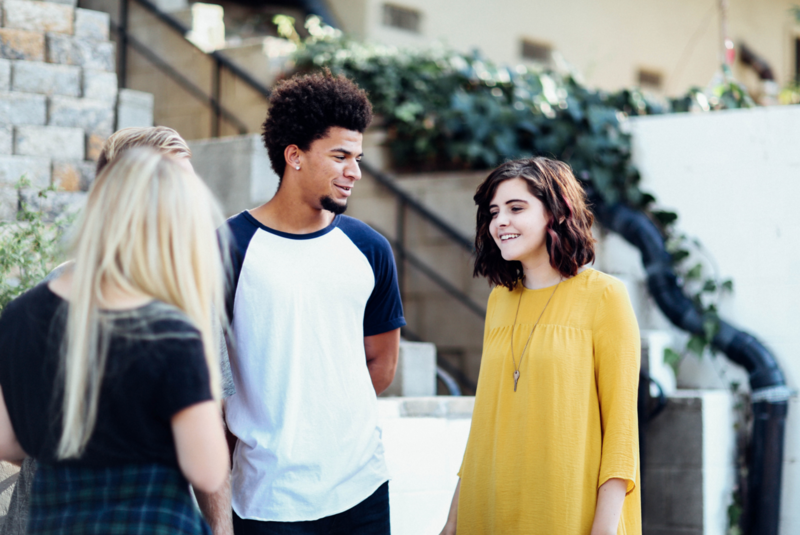 Here are a few tips that can help with finding new friends, and making those first few weeks at university a bit easier. The choice of events, clubs and societies at university is endless. Make the most of freshers’ week and sign up to a range of activities that interest you. This is a great way to meet new people and develop a common interest. Lend a pen or a couple of sheets of paper to the person in the seat next to you who’s forgotten theirs is a good way to start a conversation with someone who’ll be on hand when you want to talk to someone about your course! 3 – Befriend International students! However nervous you are, spare a thought for any international students – especially those for whom English might not be a first language – who have it far harder. Go out of your way to chat to them and you might even learn something! After seminars or tutorials, suggest to a couple of your class mates that you want to form a study group – getting together once a week to go over lecture notes can be a great way to make new friends and get some academic help at the same time. It’s a great way to meet new people and do something worthwhile, at the same time as building your skills and enhancing the all-important CV. Your student union or accommodation provider will be able to give you advice on local charities and groups who need volunteers.